No, I'm not ready to start blogging again, though I have been writing. 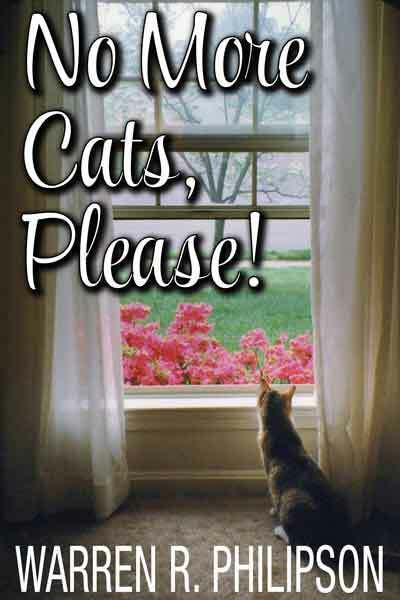 In fact, I just self-published an e-book, No More Cats, Please! I’m announcing the book’s release here to promote it, but also because the book evolved from a handful of the posts that appeared on this blog. 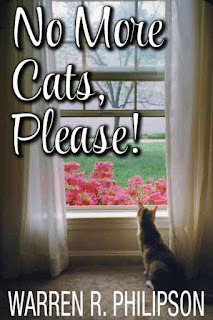 The book reviews my life with pets. The memories I recount are of my and my family’s dogs, fish, turtles, gerbils, a parakeet, a horned lizard, salamanders and, of course, cats, which dominated my last quarter century. If you've followed this blog over the years, you may remember the cats--cerebral Lassie, disappearing Rex, Boss, the cat of lesser intelligence, and especially Henry, who, among other achievements, sent Boss into protective custody and so intimidated a pet sitter with 20 years’ experience, she was unable to enter the house. Writing the book, I pulled together selected posts, filled in lots of detail and added cement. Then I prepared an appendix whose content goes beyond my life with pets. Since many of the blog posts reviewed research, including studies of animals and pets, I summarized several pet research posts. The book is currently available for 99 cents (cheap) from either Amazon (https://www.amazon.com/More-Cats-Please-Warren-Philipson-ebook/dp/B01IPY78B6/) or Smashwords (https://www.smashwords.com/books/view/652117). If you do read it--and I hope you will--please let me know what you think. (I can take it.) Or review the book where you buy it. Thank you.